Passover is a time for family, friends, and giving back. “All who are hungry, come and eat” is one of the first lines we read in the Haggadah at the Passover Seder, showing that it is a time of giving and being together. We don’t want you to show up at the Passover Seder empty-handed, so we’ve compiled a list of the perfect Passover gifts for your hosts, family, loved ones, and of course, we’ve included some perfect Afikomen gifts for the lucky kid (or adult, we don’t judge your traditions and levels of competitiveness!) who finds the elusive, hidden matzah! 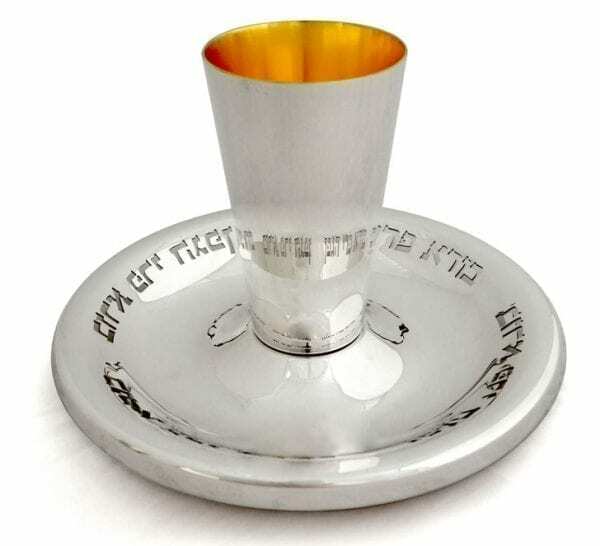 This cup is MADE for the Seder. Seeing as we pour out wine as we mention the 10 plagues, usually making a huge mess, this glorious cup and bowl set solve that problem, in the most glamorous way possible. 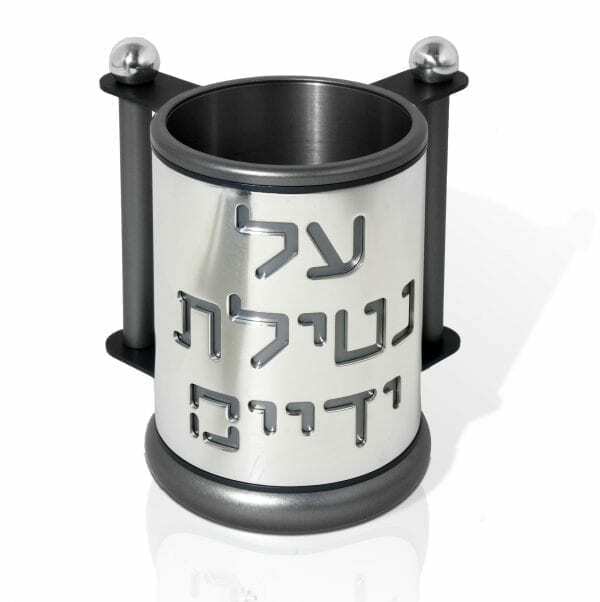 And just in case you forget the wine blessing (you’ll need it a few times), it’s cut-out in stunning Hebrew lettering along the rim of the bowl, making this a one-of-a-kind piece. Drinking wine isn’t the only thing we do on Passover. We also need to wash our hands for a few times. For vegetable dipping, and for Matzah eating-the start of the food. So a washing cup is basically the signal that the delicious part of the Seder is about to start. This grand symbol needs to be beautiful and exciting, just like what it signifies. This Netilat Yadayim cup is exactly that, and it’s also the perfect host gift, as it can be used year round. Oh wait, we’re back to wine. Let’s do the math-four cups of wine multiplied by an infinite number of family members = lots of wine needed. Prop those bottles up in a modern, beautiful wine holder. With its pop of color, it’s also a stunning centerpiece. 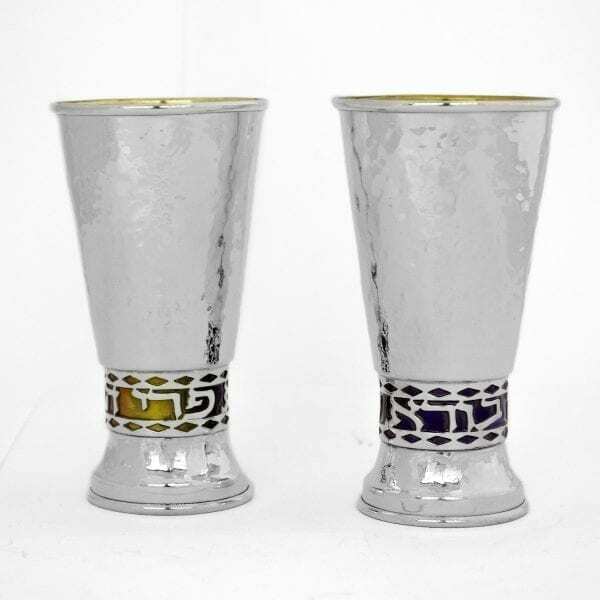 We’re not the only ones who need Kiddush cups on Passover. We also fill up a cup for Elija the Prophet, so when he visits our table he can partake in the festivities. To properly honor Elija, his cup is usually grand and glorious, just like this one we’ve picked out for you. 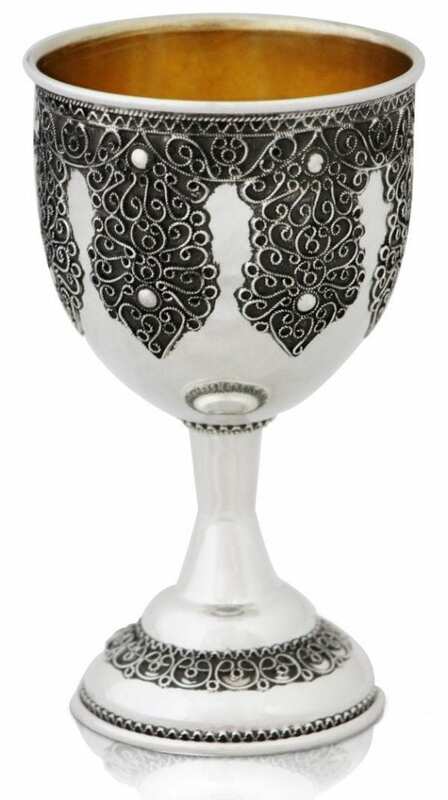 This cup features stunning traditional filigree throughout, and we’re pretty sure Elija would approve. We love multipurpose gifts. 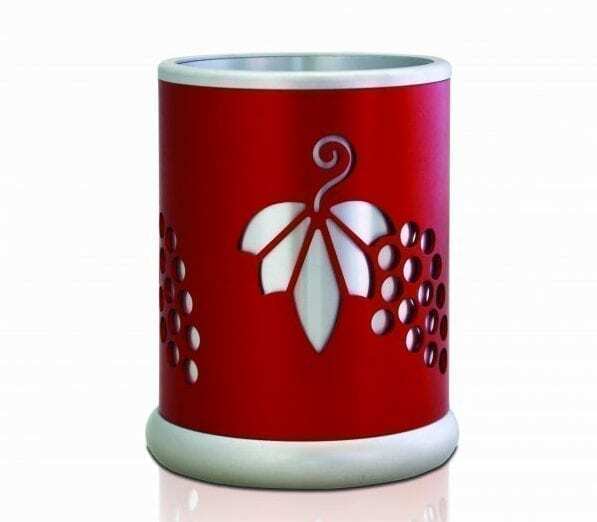 These hammered candle holders can be used for candle lighting, ushering in the holiday, and the stunning, petite anodized aluminum pieces also make the perfect centerpieces, lighting up any Passover table. Available in a choice of colored rings which could be changed out when you want to shake things up. Here comes the Afikomen gift. 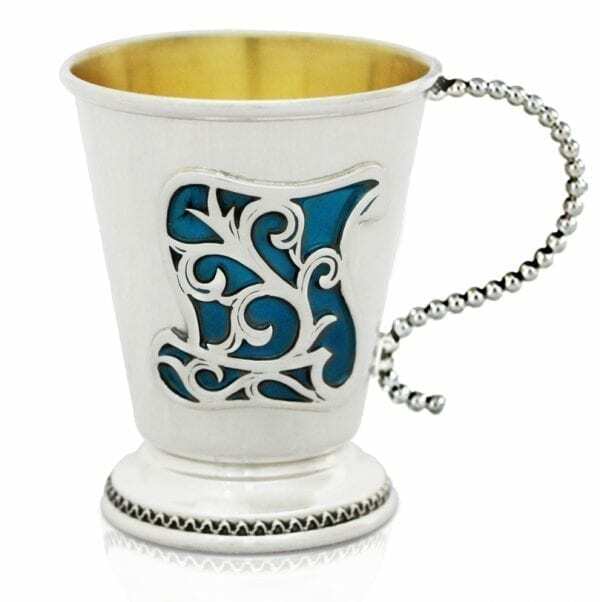 Meaningful, stunning, and just the right size, this enameled silver cup will be cherished for years to come, and it’s also perfect for the four cups for those who don’t want too much wine. Buy here for the four cups or as an Afikomen present! 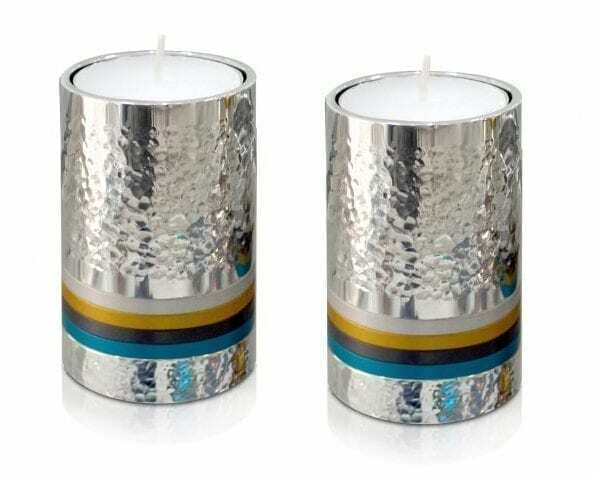 A budget-friendly, bright and beautiful Passover gift. 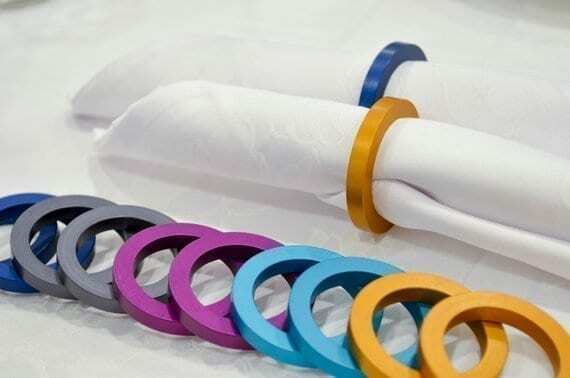 These colorful napkin rings are the perfect pieces to make any Passover table POP. Mix and match colors and grab some for all your hosts and friends, because these colorful napkin rings definitely won’t break the bank. Have a Wonderful Passover, Filled with Great Family, Friends, and Gifts! We hope we’re able to make your Passover preparations a little bit easier and totally stress-free with all the Pesach gift ideas! Wishing you and your loved ones a happy Passover, filled with giving, sharing, love, personal freedom, and happiness which spills into the rest of the year!